What sort of things happen when space crystallises? Why were primordial sages fascinated with five simple forms? Does the three-dimensional jigsaw fit simply together? If so how? Find out about one of the languages spoken throughout the universe! 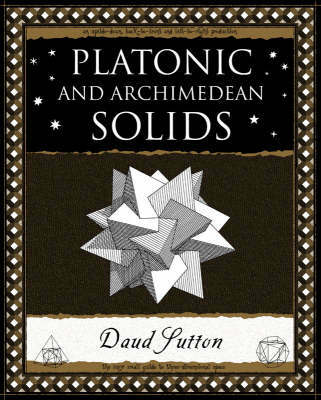 An understanding of the Platonic Solids, and their close cousins, the Archimedean Solids has long been required of students seeking entry into ancient wizdom schools. This book, illustrated by the author, is a beautiful introduction to three-dimensional mathemagical space. WOODEN BOOKS are small but packed with information. "Fascinating" FINANCIAL TIMES. "Beautiful" LONDON REVIEW OF BOOKS. "Rich and Artful" THE LANCET. "Genuinely mind-expanding" FORTEAN TIMES. "Excellent" NEW SCIENTIST. "Stunning" NEW YORK TIMES. Small books, big ideas.